Murphy’s law has struck. The 20+ students and 10+ teachers were stranded in Chicago for one day. My assistant, Emily is with them so I was alone again for the first day here in Warsaw. I can’t wait for her to arrive early Tuesday morning, it will make my life easier and I will have someone to vent when things happen. Like today. Let me say that breakfast was fantastic! Bacon, Bacon, Bacon, sausage, fried potatoes, kapusta (cabbage and yes-bacon). 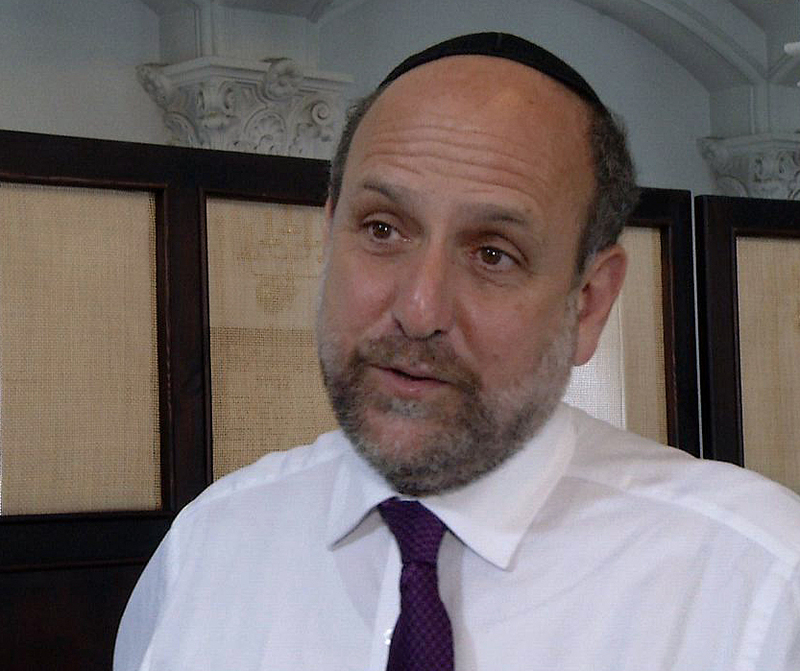 I wolfed down the food and got on the bus headed for the oldest Jewish cemetery in Warsaw. The Okopowa Street Jewish Cemetery is one of the largest Jewish cemeteries in Europe. 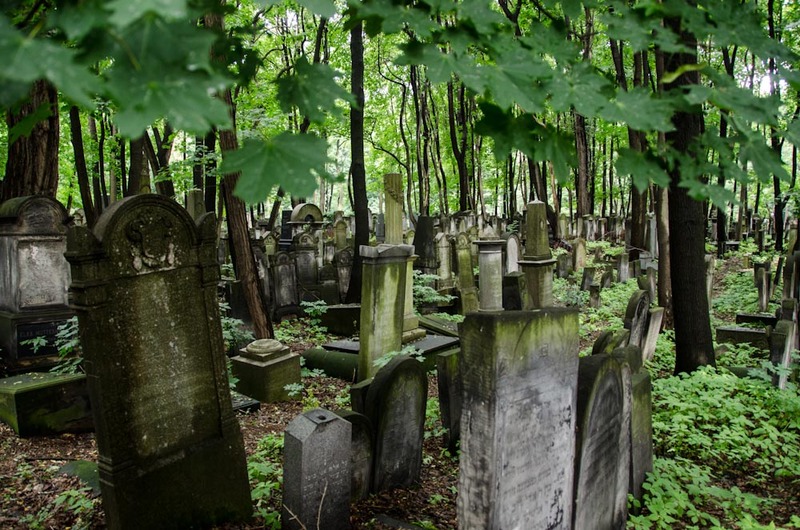 Located on Warsaw’s Okopowa street and abutting the Powązki Cemetery, the Jewish Cemetery was established in 1806 and occupies 83 acres of land. 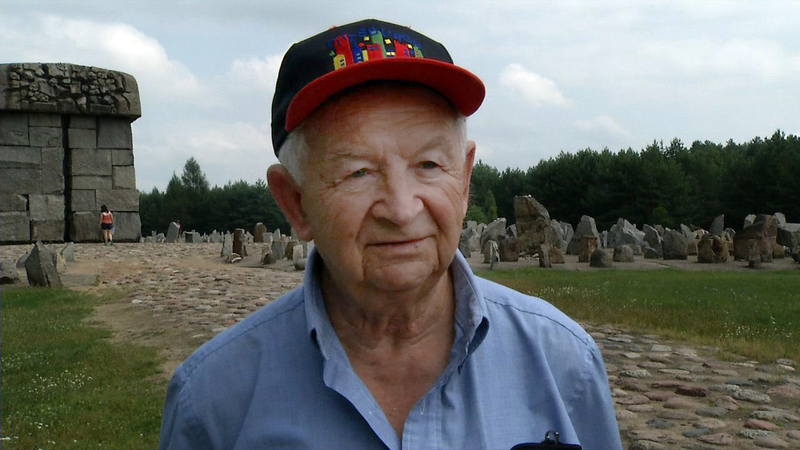 The cemetery contains over 200,000 marked graves, as well as mass graves of victims of the Warsaw Ghetto. I recorded several of the conversations with the Nikon D7000 DSLR camera. Had my assistant been with me, she would have used the DSLR for still images and I would have used the HPX370 for video. This cemetery is quite a place to visit, it has become a dense forest in the post-war period and is filled with monuments to Jewish communists, orthodox rabbis, and everyone in between. Many of the markers are simple, others are elaborately carved. Next stop on the day was a hour-and-a-half drive to Triblinka. Visitors to Treblinka are likely to have a very powerful experience, especially if you know someone who was killed and is buried there. You enter the camp through the same spot where deported Jews and others exited the trains. Concrete blocks indicating railroad ties indicate the way into the camp. 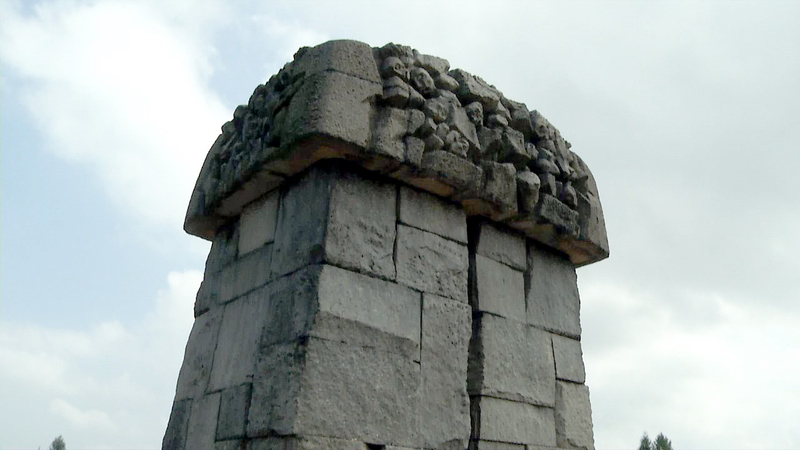 Standing there you face an open field with solid rock structures that serve as tombstones. On each stone is engraved the name of a town of those who were killed by the Nazis at Treblinka. In the center of the field lies a mass grave. One special person who is traveling with us is Howard Chandler. A survivor who now lives in Toronto. I asked him to talk about this experience. I was trying to be mindful of what he was experiencing. His mother, sister and younger brother were killed there. So how do you ask someone to share those experiences? I had an advantage in that Howard knows and likes me, he trusts me. I wanted to put on a lavaliere mic, but instead went with the on-camera shotgun microphone. He talked about the feelings, he cried, I could not thank him enough for his courage. I wish my assistant would have been there, then I could concentrate on the technical side, while she concentrated on the interview. It worked, but would have been easier. Oh did I mention that the Novotel in Warsaw only permits one hour access at a time on the internet? You have to go to the front desk every hour to get a new login and password. So this blog has taken me three trips to the front desk, frustrating to say the least. The last part of the day seemed to be a bonus, an interview with the chief Rabbi of Poland. The interview started out great until the interview was interrupted and turned into a free-for-all. Although great for the people participating, not so good for a personal interview. Since the interview was set up with one microphone, I now had a problem on my hands, poor audio from the audience. Like they say, “it is what it is” so the interview is not great, but thats what it is. 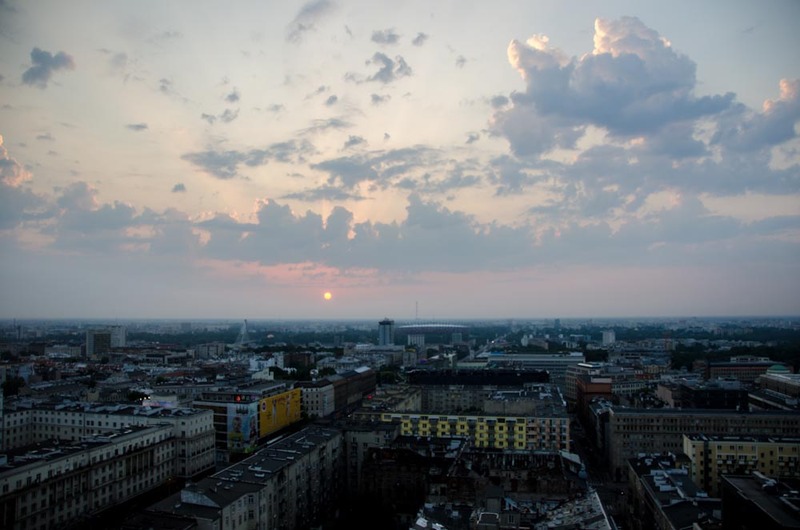 I leave you with this sunrise over Warsaw, by the way, it is 4:30 am. The new soccer stadium is in the background. Wow. Sorry that Murphy and his law have shown up, but it sounds like you’ve been able to get some great stuff anyway. It won’t always be perfect. This sounds like the best part of the trip so far — though much more emotional. We can’t wait for you to come home though. Jacob misses his dziadzia.